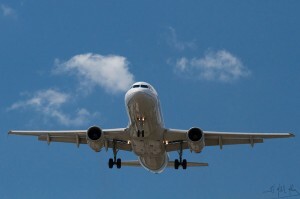 Environmental Defense Fund and Natural Resources Defense Council today echoed the new call by the International Air Transport Association (IATA), a trade body comprising 240 airlines worldwide, for governments to agree this September on a single global cap on emissions of international flights to take effect in 2020. The NGOs issued their call in response to a resolution, adopted today at IATA’s annual general meeting in Cape Town, that urges its member airlines to “strongly encourage governments” to adopt such a single global measure at this year’s International Civil Aviation Organisation (ICAO) Assembly. IATA has opened the door, now it is time for governments to walk through it this September. This is the signal that governments have been seeking. Not all the elements offered in IATA’s resolution will fully address aviation’s contribution to climate change, the NGOs cautioned. Our colleagues at Transport & Environment and Aviation Environment Federation have issued their own comments on the resolution, as has Carbon Market Watch and NRDC’s Jake Schmidt. To be credible, such measures must include targets compatible with climate science, strong provisions to ensure the environmental credibility of the traded units, limited access to offsets and strict provisions to ensure compliance. Aviation is already the world’s seventh largest polluter, and if emissions from the industry are left unregulated, they’re expected to double by 2030.